If you fancy a cup of hot chocolate in a rather unique looking mug then check out the Build-On Brick Mug. 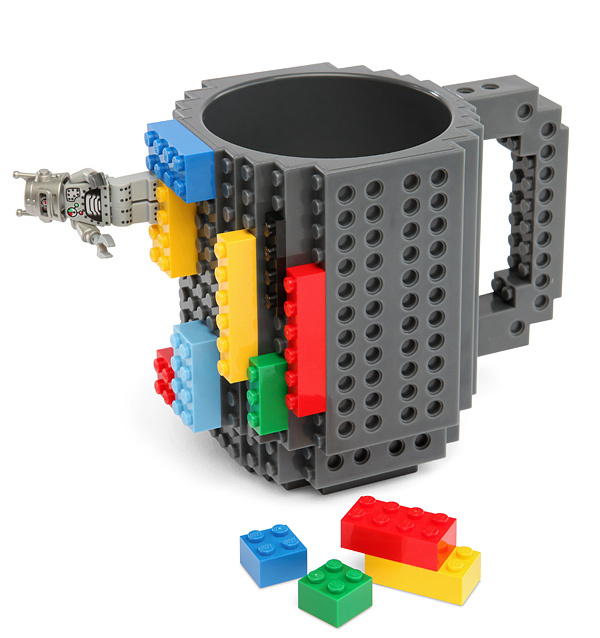 The mug is compatible with LEGO, Pixel Blocks, Mega Blocks, KRE-O and K’NEX style bricks and allows you to attach the said bricks to the Mug to make it unique every single time you drink from it. Although it is compatible with most brick types, it isn’t endorsed by any of the companies mentioned above. You just luckily get a mug that happens to be able to have Lego bricks stuck to it. I might suggest here that you try attaching Mindstorms to it to automate things a little. Price wise, the Build-On Brick Mug costs $19.99 and is available now. One last note… it doesn’t come with any bricks supplied, so you’ll need to use your old collection from years ago, or buy new.